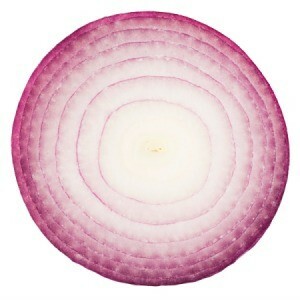 Getting your fresh, garden or market onions chopped and frozen can save you waste, time and teary eyes. This is a guide about using frozen onions. When I cook, I love onion but not in large pieces or strips. None of the kids I know like them that way either. When the Vidalias (my favorite onion) are in season, I buy several. I peel, clean and wash them with a quick douse under HOT water. Then put them into plastic and freeze them whole. The hot water preserves the crunchiness when freezing. Ditto with lettuce to go in the fridge, it's an old trick my mom taught me. 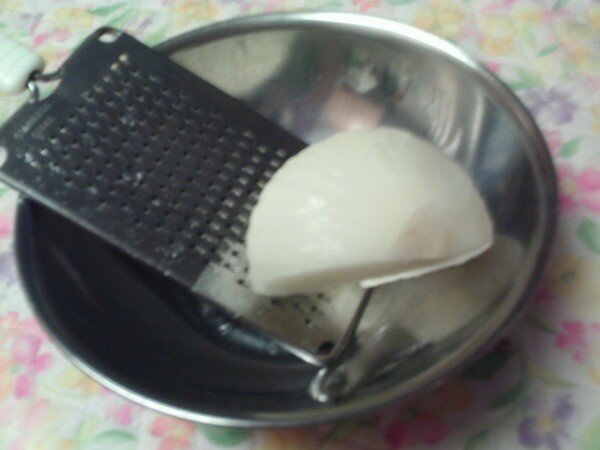 When I cook, I take one of my whole frozen onions out and get out my fine size grater. I hold the onion as long as I can and grate a pile of onion snow. It IS cold, so you may need to take breaks or use a silicone glove. 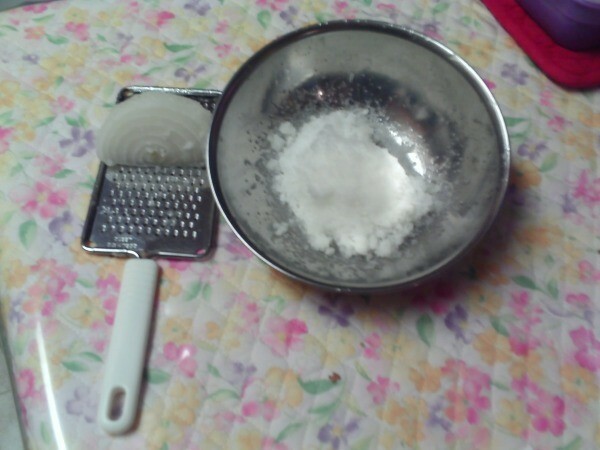 Be sure to use a fine grater, like shown in the photos. I took the finished product here and made onion cakes. I added 1/4 cup flour, 1 Tbsp. cornmeal, 1 1/2 tsp. baking powder, 3 Tbsp. coconut milk and an egg. Mix all, let set 10 minutes, then fry like pancakes. I hope you get a chance to try this and find it helpful. The onion snow flavors the meal and no one complains about it. ("YUK! Onions!") The food goes down with relish and no complaints. Love this idea, especially the onion cakes recipe. Thanks. 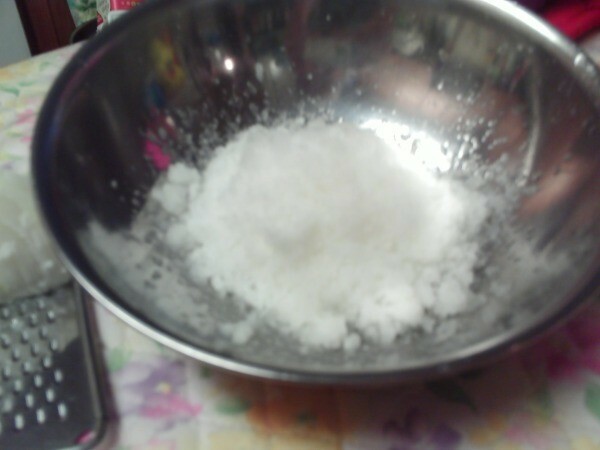 Does the "snow" add any water to the foods you put it in? This is one of those "why didn't I think of that" tips. Thanks for sharing. Next step here... frozen onions! Re; Any liquid from the onion "snow." From my experience only a little. Sometimes I just press a paper towel onto them to sop up some extra liquid, but that is also flavor lost, so I try to just work with it. It will usually cook down - - for the onion cakes, I just add a bit more flour or a T. of coconut flour, which soaks up LOTS of liquid, so the flavor is still there.